These musical friends from the Basque region around Bilbao have been making music with their big band for many years. As a side project they formed their 6 piece blues band. Yes there are two brothers in the band (bass and guitar) but the whole band operates and plays like a tight family. They grab any audience within seconds with their passion, and great music. As they say: “love, joy and happiness”. The band toured the US, UK and since they won the European Blues Challenge in 2015 they played every major blues festival and many jazz festivals in Europe. 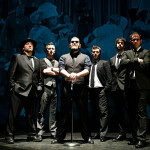 At present they are the most succesfull blues band in Europa. Outrunning everyone in gigs, record sales and bookings. Expect the party to start when Travellin’Brothers get on stage. Working on their next album to be released this year this is a band that you have to see at least once in your life. Dan started playing and gigging in pubs and bars in the UK with his sister when he was 13 . When he was only 17 studying to be an instrument/guitar builder he had an incident that damaged the eyesight in one of his eyes an that ended that career….but fueled his musical inspirations. He discovered he had a unique and powerfull voice and at the age of 19 he was recorded on video at a festival in the UK with “The ballad of Hollis Brown”, A Bob Dylan song. Within a few weeks that video was viewed over 500.000 times and things really got into gear for him. At this point, although young, he was fully into the blues. One of the people that discovered him was Mick Fleetwood. They met and Mick became a mentor in the beginning of Dan’s career. Now, at the age of only 24 he is signed to Atlantic Records worldwide, he has toured with Birdie on her European tour, he supported Kaleo on their European Tour, He played Paradiso in Amsterdam 5 times already, he played the Zwarte Cross Festival in Holland twice and toured the UK and Ireland throughout 2016. He has also played Glastonbury and many festivals in Europe the last few years. In 2017 his new EP and single will be coming out and he will tour Europe on his own, starting in March. Genre: Modern Blues/Jazz/Rock with a vintage Woodstock sound. Drie heren van begin twintig die al sinds jaar en dag muziek met elkaar maken, besloten in 2011 dat het tijd was. Tijd voor Muziek. Juist ja, Muziek met een hoofdletter. Oftewel: Muziek gemaakt met hart en ziel gekoppeld aan het gevoel en de sfeer van het moment. Dat is wat er gebeurt bij een optreden van Two Shakes. De heren mengen de energie van het publiek met de uiteenlopende emoties van henzelf. De klanken die daarop volgen zijn elke keer verschillend en elke keer opnieuw de moeite waard. De muziek die dan ontstaat omschrijft men als sixties psych rock, maar zelf noemen ze het liever Next level blues. Ze halen hun inspiratie onder andere uit acts als: Cream, The Doors, Led Zeppelin en Pink Floyd. Begin 2012 was met het uitkomen van hun eerste EP Work In Progress de eerste stap gezet. De EP staat vol strakke, rauwe blues-rock, geschreven en gespeeld vanuit het hart. Opgenomen in een gemproviseerde studio op een afgelegen industrieterrein in Hoorn. De titel Work In Progress betekent veel voor de jongemannen van Two Shakes, omdat hun nummers nooit volledig af zijn. Two Shakes gelooft in muzikale afspraken, maar vooral ook in muzikale vrijheden. Hierdoor blijven de nummers voortdurend ontwikkelen. Niets staat honderd procent vast! Begin 2015 werd de tweede mijlpaal werkelijkheid: een live-album. I Wish You Were Released, kwam uit. Live opgenomen in Mupo Music in Hoorn. Dit album is iets psychedelischer dan de EP. 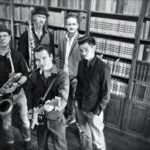 De heren beheersen de vaardigheid om moeiteloos te kunnen switchen tussen psychedelische blues, klassieke blues en progressieve rock. Ondanks de stijlwisselingen blijft de Two Shakes sound duidelijk te herkennen. Dit live album geeft de charme van Two Shakes goed weer. In de lente van 2016 hebben de heren van Two Shakes The Living Room Sessions online gepubliceerd. Een intiem live-in-the-studio extraatje voor de trouwe fans. Voor deze sessie zijn er nummers toegevoegd en gefunkied. The Living Room Sessions representeert de intieme, bluesy en funky zijde van Two Shakes. Precies hoe ze hun intieme live shows willen brengen. Voor het nieuwste album ‘Next Level Blues’ hebben de heren het net even anders aangepakt. Het volledige album is sinds 19 juni 2017 gratis te downloaden via de website in wav-formaat. Hier is voor gekozen om de muziek toegankelijk te houden, opdat iedereen het album in vol ornaat kan beluisteren! Inmiddels heeft Two Shakes al heel wat kilometers gemaakt. Ze hebben in Paradiso gestaan, waren de support act van zowel The Pretty Things als de Billy Walton Band. Ze hebben vele podia en zalen bespeeld en dit is nog maar het begin. Ze spelen het liefst zo veel mogelijk. Two Shakes is meer dan alleen een band. Het is een belevenis. Gevoel, kracht, echtheid en liefde. Two Shakes neemt je mee. Finalists of the 2017 Dutch Blues Challenge. When Detonics play…they move the place. Standing still is no option for their 50’s West Coast blues. The bands name refers to the compact 1911-style hand gun that a lot of women carried to protect themselves in the dark gambling joints. Tucked in their garter belts. A combination of creativity, guts and comon sense. That is exactly what this band stands for. Creative, gutsy and explosive music with an original 50’s West Coast sound. A shot full of West Coast Blues. As soon as Detonics start playing it calls out an atmosphere of illegal casinos, moonshine whiskey, prostitution and a hint of old style gangsters. The raw and unpolished voice of lead singer/harmonica player Kars van Nus combines smoothly with the rocky and jazzy guitar sound Jeremy Aussems has and the howling Hammond by Raimond de Nijs. Drummer Mathijs Roks and Rene Leijtens on stand up bass form the thumping rithm sections. In 2017 the band competes in the International Blues Challenge in Memphis and the European Blues Challenge in Denmark. 2016 European Blues Challenge winners Eric Slim Zahl & the South West Swingers are a swingin’ experience with authentic jump blues, rock’n roll and rockabilly played with full force! The band’s ambition is to continue the fine traditions and perform music influenced by the sounds from the 50’s – in their own rockin’ style. 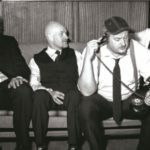 Dressed up with a tie, suspenders and shiny shoes, Eric Slim Zahl & The Southwest Swingers performs the band’s music with humor, musical skill and impact. Since the band started in 2006, the band has logged an impressive amount of club gigs and festival appearances in Norway and Europe, and are known to be a formidable live band. Eric Slim Zahl & the South West Swingers write their own music, and released their debut album “Daddy’O” in 2011. The album was nominated for a Norwegian Grammy in the Best Blues Album Category. In 2013 the sequel “Chances Are Slim” was released, and also this album received very good reviews in the press. A third album is now in the making. In 2016 the band is already booked for a number of the bgger festivals like Blues Peer in Belgium. Live the band has an enormous live energy that matches no other. Nobody can stop moving. I wanted to play with these guys! Previously called the Bluesbug, Gugun Blues Shelter is an Indonesian blues power trio that is a breath of fresh air in the seemingly dying Asian blues scene these days. Influenced by the likes of Jimi Hendrix, Stevie Ray Vaughn, Bettie Davies, and Led Zeppelin among others, the band forced many music fans to take notice of its powerful, flawless genre-crossing blend of blues that incorporate influences from rock, funk, and soul. Led by guitarist/vocalist Gugun, Gugun & Blues Shelter has released two albums under the Bluesbug moniker “Get The Bug” (2004) and “Turn it On” (2007) that has been gaining praises from music critics and fans alike. ”Turn It On” was voted as one of the best Indonesian album in 2007 by Rolling Stone Indonesia Magazine and Gugun was noted as one of the most promising local guitar player by the same maga-zine. In the same year, Indonesia’s Trax Magazine also voted Gugun as the best guitar player in South East Asia. Gugun Blues Shelter is not only drew the attentions of local music lover only. The band also received attentions from European fans, thanks for years of playing for expatriate fans during its pub-playing days. As the result, Gugun Blues Shelter was participated in Belfast Big River Blues and Jazz Festival 2008 and played several dates in a four-weeks UK tour at cities like Burnley, Scarborough, and Crewe. Due to the good receptions, the tour was extended to other cities like Leeds, Oxford, York, Rotherham, and culminated in another festival,”Colne Great British R n’ B Festival” at the Manchester outskirt. In Asia, recently Gugun Blues Shelter played several dates in Malaysia in 2008, participated in Singapore Art Festival at the same year, as well as in Indonesia’s big festivals such as Java Jazz Festival and JakJazz Festival. With the success of their debut album “Get the Bug” (2004), and their second album “Turn it On” (2006), Gugun (Guitar / Vox) and Bowie (Drums) returned to Indonesia after a highly successful tour of the UK in 2009 leaving Jono (Bass) to clear up loose ends before the team became re-united once again in Jakarta, Indonesia. The Band released their third album “Self titled” in March 2010. With the hit single “When I See You Again” the 9 track album went on to win numerous awards including ‘Favourite Blues Song’ in the Indonesian Cutting Edge Music Awards 2010 (ICEMA 2010), TRAX Magazines “Best Local Album 2010” and also featured in “Rolling Stone Magazine” top 20 albums of 2010. The group has made 3 highly successful tours of the UK and Northern Ireland between 2007 and 2010 featuring at both the “Belfast Jazz & Blues Festival”, The Annual “Colne Blues Festival” and also the “Skegness Rock & Blues Festival”. In March 2010 the band were invited to play alongside Buddy Guy, Jools Holland and the Buena Vista Social Club at the Timbre Rock & Roots Festival in Singapore. Touring both Nationally and Internationally during 2010, the band were flown out to represent Indonesian modern music at the Indonesian Pavilion of the World Expo in Shanghai China both in August and once again in October. It didn’t stop there either as passers-by from the Romanian pavilion were so impressed with what they heard that they invited the band to take part in a special concert held at their pavilion. October was a busy month for the band, aside from being re-invited to play in Shanghai, the band also took part in 2 of Indonesia’s largest music festivals; The “Java Rockin’ Land” festival and also the “Jakarta International Blues Festival” where the band performed with Aussy blues legend “Kevin Borich” and European Blues Queen “Anna Popovich”…. Oh and also rock legends “Smashing Pumpkins” and “Wolfmother”. On the 10th December the band put on a special performance for the grand opening of Rolling Stone Cafe (Located at the HQ of Rolling Stone Magazine Indonesia) collaborating with legendary Indonesian frontman “Once” the band performed a half hour set including a rendition of Led Zeppelins “Rock & Roll”. Into the future, the band is due to release their 2nd album with Grooveyard Records in April 2011 titled ‘Solid Ground’ featuring 10 all new songs and taking the bands vibe into a new “progressive / funky” direction. It doesn’t stop there either… Aware that many of their local fans will not be able to acquire the ‘Solid Ground’ album, the band will also release a local album “Satu Untuk Berbagi” which consists of 80% of the songs in Indonesian Language. The band did a tour in Europe in july 2016 and plans to come back july 2017 for festivals and a few clubs. Drawn to the Blues music his parents introduced him to, (artists such as Muddy Waters, Son House, Eric Clapton and Albert King), It became obvious his ambition as a 14 year old was to become a great Artist like his heroes. Early in his career he co-founded East Midlands based Blues band The Melt. He was 16. In three years of touring and opening for such acts as: Walter Trout, Mountain, Doctor Feelgood and The Animals. The band released there critically acclaimed “self titled” album. Voted “debut album of the year by Blues In Britain magazine” Showing Ash at the age of 17 was already a gifted guitarist, vocalist and songwriter. Ash in his early 20’s decided to join “DJUNE, featuring his Brother Phil Wilson, (Laurence Jones, Scott Mckeon, Sean Webster), on drums, Greg Smith, (Sean Webster), on the Bass and Robert Patchett on Guitar. After further crafting a rare and distinctive songwriting, guitar and singing skills he wrote and recorded tracks featured in films by “Wavelength” Europe’s biggest surfing magazine. 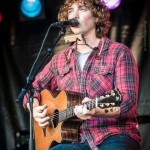 Djune where performing with Ocean Colour Scene, The Kooks and Pigeon Detectives. After a break in performing, Ash returned to being a live performer with alternative rock band Infamous Vampires. Co-founded with his brother Phil Wilson the band was created as a canvas for them to indulge in a darker setting and delve into a more complex place both lyrically and musically. The self titled album was released in May of 2014. Although the project was not a serious outfit it did see the start of Ash’s writing relationship with his brother Phil. In 2016 Ash was asked to join, Jesse Davey’s Big Blues Band, co-writing and singing the song “The Revalator” from the “Big Blues Album” Which came 3rd in the 2016 “best Album Category. The album also featured blues greats, Hugh Coltman, Ian Siegle, Pete Gage, Scott Mckeon, Sam Bratley, Phil Wilson and Mark Barret. Since 2015, in the year following his daughters birth, Ash’s influences of life journeys and reflections manifest themselves in Broken Machine’s message and soul. The coming release of Ash’s debut album featuring Phil Wilson on drums (Jesse Davey, Laurence Jones), Roger Inniss on Bass (Chaka Khan, Laurence Jones) and Bob Fridzema on Keys (KING KING, Dana Fuchs) Also appearing on Broken Machine is Jesse Davey (The Hoax) on the song “The Hitcher”. 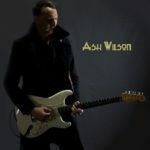 Is a watershed achievement for Ash Wilson, both in terms of the many musical styles in the tracks, which begin and end with the blues at its core, with the explorations and growth of him as a singer, songwriter and guitarist. Resulting in the spiritual growth expressed through the medium of his music. Boekingen voor Europa excl. Nederland (Goomah) en Duitstalige landen (K-B-N). Sinds de oprichting begin 2012 van “(K)ing (O)f (T)he (W)orld“ (Ruud Weber (leadvox/bgtr), Fokke de Jong (drs/bvox), Govert van der Kolm (Hammond/bvox) en Erwin Java (gtr) ) is het snel gegaan met deze Nederlandse blues-, rhythm & rootsband. In minder dan 3 jaar tijd heeft deze groep via de albums “Can’t Go Home” en “KOTW” zijn plek in het Nederlandse bluescircuit opgeëist. Beide albums vielen louter lovende reviews ten deel , zowelin de binnen- als buitenlandse muziekpers. 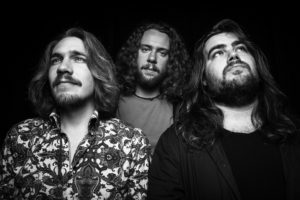 Ook de live-reputatie, die de band heeft opgebouwd middels optredens op onder meer festivals als Highlands, Ribs ’n Blues, R & B Night Groningen en Bluesrock Tegelen, heeft aan de doorbraak bijgedragen. En niet alleen vanuit het festival- en bluescircuit is er belangstelling. KOTW wordt ook geboekt in Nederpoptempels als Paradiso, Hedon, Doornroosje en vele andere. Een bevestiging dat de groep er in geslaagd is de blues in bredere zin voor het voetlicht te brengen. “Cincinnati” is de titel van het 4e album van King of the World dat op 3 oktober 2016 uitkomt. De groep greep met beide handen de kans aan om onder leiding van producer Erwin Musper (o.a. Anouk, Van Halen, Scorpions, Def Leppard, David Bowie, Mick Jagger) dit album op te nemen. Voor deze produktie vloog de groep op 1 mei jongstleden naar Cincinnati , Ohio (USA) om daar in de Bamboo Room Studio’s in 10 dagen tijd 13 nummers aan de geluidsband toe te vertrouwen. De keuze voor een studio in de USA was snel gemaakt; voor alle bandleden geldt dat de muziek waarmee ze zijn opgegroeid en door zijn ge-inspireerd zijn bakermat vindt in dit land. Wat is er mooier dan om in “the cradle of roots-, rhythm & blues” het creatieve opnameproces te beleven? Onder de 13 stukken bevindt zich 1 cover : “Life in the fast lane” van de Eagles, de overige 12 zijn eigen composities. En op een aantal tracks zijn blazers en achtergrondzangeressen te horen. Nothing fancy but raw, intense, soulful and groovy. On Walk on In the band is assisted by Roel Spanjers (piano & Hammond) and Gait Klein Kromhof (harmonica). 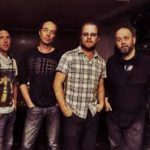 Richard van Bergen & Rootbag is not “your regular Bluesband.” With their personal approach it has a unique position within the Dutch roots-scene. The many live reviews and Dutch Blues Award for best Bluesband 2015 confirm this. Met hun tweede album, getiteld ‘Broken Heart For Sale’ (2012) werd de muzikale lat wederom hoger gelegd: Alle hoeken van de blues rock worden op dit album verkend. Een aantal tracks zijn voorzien van rijke arrangementen en meerstemmige zangpartijen die de nummers een bijna symfonisch karakter geven maar steeds voldoende ruimte bewaren voor het weergaloze gitaarspel van Paardekooper. De release van ‘Broken Heart For Sale’ vond plaats op 20 december 2012 in een strak gevulde ‘Boerderij’ te Zoetermeer. Een zaal waar de band al regelmatig optrad en waar Bas eerder een persoonlijk hoogtepunt beleefde als “special guest” tijdens een optreden van Walter Trout. Juni 2014 werd het Zoetermeerse poppodium wederom beklommen door Bas en Crue. Ditmaal voor de presentatie van het album “Songs From Room 111”. 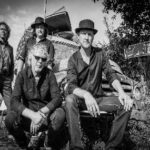 Met deze release (die op het moment van dit schrijven nog volop gepromoot wordt via lokale, nationale en internationale radiostations en middels live optredens) heeft de band een volwassen album weten af te leveren waarop bluesrock en -ballads worden afgewisseld met door rock, pop, funk of jazz beïnvloedde tracks die tesamen een uniek en tegelijkertijd zeer prettig te beluisteren geheel vormen. Voor de opnames van “Songs From Room 111” verliet de band voor het eerst in zes jaar de eigen studio en toogde naar Schenk Studio Amsterdam. Hier werden door opnameleider en co-producer Jan Schenk alle instrumenten tegelijk geregistreerd en heeft de band alle muziek, inclusief solo’s, volledig live ingespeeld. De analoge apparatuur van de studio geeft de opnames precies die warmte en het “randje” waarnaar de band lang op zoek was maar in de eigen studio niet kon realiseren. Het analoge pad is gevolgd tot en met de mastering van het album op de vermaarde EMI TG12410 mastering console van Abbey Road Studios, London. Verantwoordelijk voor deze laatste muzikale stap is Abbey Road’s mastering technicus Sean Magee, bekend van zijn werk met onder andere The Beatles, Pink Floyd, John Lennon en U2. Het resultaat van deze internationale samenwerking is te beluisteren op “Songs From Room 111” een prachtplaat vol dynamiek en voldoende afwisseling waarop een echte band te horen is. Nog steeds is de band minimaal twee keer per week te vinden in hun oefen- en opnamestudio, ongeacht het aantal optredens want zoals zij zelf zeggen: “Er is altijd een nummer dat we nóg beter kunnen spelen met wat oefening, er is altijd een nummer dat nog af moet en er is altijd een nummer dat we nog moeten bedenken”. Maar het liefst zijn Bas Paardekooper and the Blew Crue “on the road” waar ze iedere show nog steeds met evenveel plezier en overgave neerzetten als hun eerste, nu bijna 10 jaar geleden. Ter gelegenheid van hun 10-jarig bestaan de nodige activiteiten op stapel waaronder een nieuwe live CD. Little Steve & the Big Beat are a high-energy Rhythm & Blues outfit. 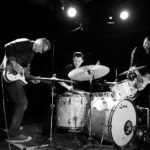 They take the blues, add some soul and play it the way they feel it is supposed to be played; fiery guitar playing and strong vocals on top of a solid rhythm section. All the while the horns add a groove that will get your hands clapping and feet moving! Little Steve & the Big Beat stay true to tradition while not merely imitating, but adding their own voice to this expressive style of music. In november 2016 they release their latest CD “Another Man” that already got great reviews from all over Europe. Live, with its unique sax section, the band will blow you away any time and any place.